The Pelco PMCL555BL 55" High Resolution LCD Monitor features a combination of LCD and LED technologies to deliver quality imaging and performance. This 55" (139.7 cm) monitor displays videos at a resolution of 1920 x 1080p, and is engineered to meet the demands of surveillance operators. The monitor allows you to customize and deliver efficient video configuration for your installation.Multiple video streams can be viewed on the PMCL555BL monitor, which significantly reduces your security installation’s power requirements. The monitor provides true color reproduction and is compatible with most of the CCTV cameras available. The monitor uses low power components and is Energy Star 5.1 compliant. The PMCL555BL monitor is versatile and for use in complex security installations, as well as for simple monitoring use. The monitor is sturdy enough to ensure that its operation does not degrade the image quality for a long time. 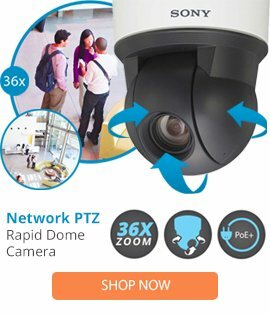 It can be configured to meet your security needs, and maintains quality performance that surveillance operators require.